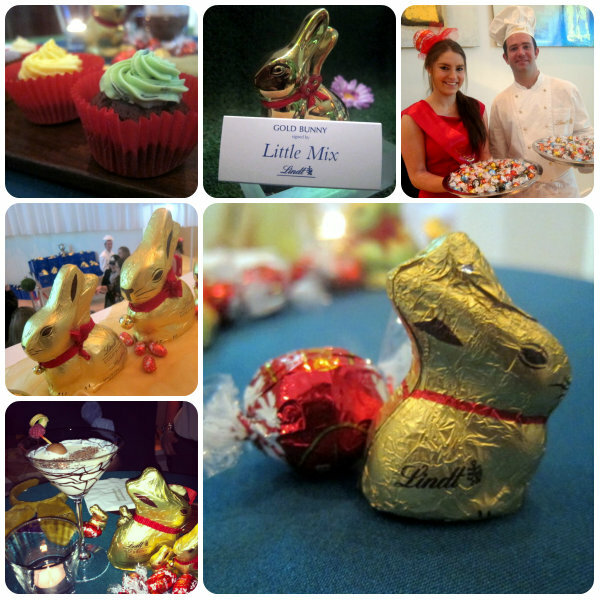 "It's like we've died and gone to lady heaven", my friend Ina whispered to me as we walked into the Lindt event last week. And she wasn't wrong - there were chocolatey treats as far as the eye could see, from cookies, cupcakes, hot chocolate, chocolate cocktails and of course, more delicious Lindt chocolate than you could shake a stick at. So what was all this in aid of? 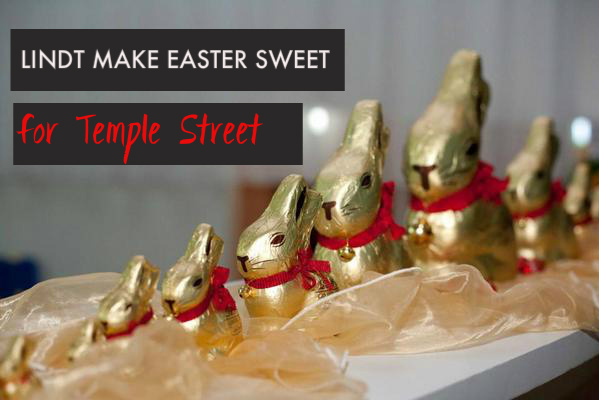 Well, having already raised €330k for Temple Street Children’s Hospital in Dublin, the Lindt Make Easter Sweet for Temple Street campaign has kicked off again for the 6th year running. This year Gold Bunny Roadshows will rock up at Shopping centres - including Blanchardstown (23rd & 24th March), Mahon Point (28th March) and Pavillions in Swords (29th & 30th March) - where Lindt fans can pick up a mini Lindt Gold Bunny, in return for a €1 donation. Every cent raised goes directly to Temple Street Children’s Hospital. 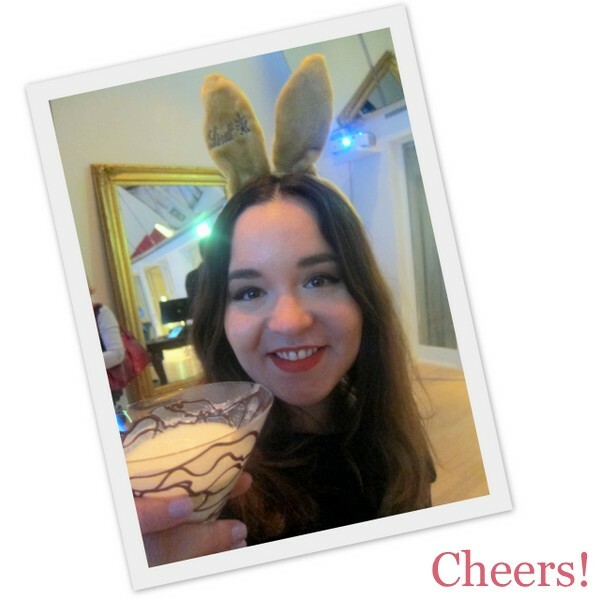 You can also check out the website in the run up to Easter to bid on gold plated ceramic Lindt bunnies, signed by celebrities including Katie Taylor, Robbie Williams and Little Mix. Again, all proceeds will go to Temple Street Children’s Hospital. This is really such a nice initiative, so if you live close to any of the roadshow destinations, do head along and show your support if you can. This really does sound like heaven. The fact that it's for Temple Street makes it okay to break Lent, right? Ha, I wouldn't have been able to resist! Oh yeah Thelma, it's for CHARITY! Everyone knows that doesn't count - that's the rules! Lady heaven indeed! Looks divine! Oh, this is a wonderful idea. I was just sorry I didn't get to keep the ears! Found you through little t's blog. An unrelated question to this post...what should I see in Dublin? This includes good restaurants you might recommend. I'm coming next week actually, and I always love to hear from the locals! Ashley, delighted to hear from you! Where are you staying in Dublin? How long are you here for? Drop me a quick line and I will send you some recommendations! Yum and what a great cause! It's so good to offer good things for a good cause. I'd get one! What an amazing event!! I love Lindt chocolate. I love Lindt chocolates. It sounds like a wonderful event. Love that this is for a great cause and it does help that Lindt make the most delicious chocolates. I need to get my choc bunny this year, in SA proceeds go to saving wild life. Visit me too:* Hope you like it! What a great charity event!! Definitely a wonderful cause and I hope that it raised a lot of money. I mean, seriously who wouldn't want to go to a Lindt event? !